It has always made perfect sense to use Epson genuine ink in your printer. With the introduction of our SureColor Rewards programme we have made that decision even easier. Now you don’t just get superior quality printing, you also get an exciting range of exclusive rewards and benefits. What is the SureColor Rewards programme? Every purchase gives you points, which can be accumulated and exchanged for an exciting range of shopping and dining vouchers, gadgets and lifestyle products, all featured in the online rewards catalogue. 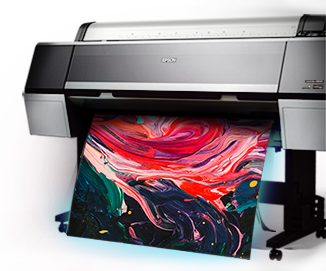 Why use Epson Genuine Ink? Using an ink that hasn’t been designed and tested by Epson massively increases the likelihood of your printer nozzles becoming blocked, the cartridge not being recognised, or not even being delivered at all. Copyright © 2018 Epson Singapore Pte Ltd. All rights reserved.